LaRosa Chronicles – Progress Report on SUMMER AND AUGUST! After all the holiday and birthday fun I’m back to work on the final editing of SUMMER AND AUGUST. Some authors “send people out” to do their research. I find that to be my education time. I learn much more than what I’m looking for when I do research; and it always provides material for other works in progress. Some authors “wash their hands” of the final editing process. It truly is not my favorite step in the process, but I take pride in evaluating the recommendations of my final editors and being the one to put the finishing touches on the work. I guess what I’m saying is that each step along the way has it’s challenges and rewards and I enjoy them all. Mostly I enjoy the feedback from all of you when the work reaches the release stage, but not until it’s the best it can be. I should be starting to record the audio master soon! Tomorrow, Saturday, December 5, 2009 I am signing books at the Jacques Memorial School in Milford, New Hampshire. This event is Sponsored by The Milford Middle School Enrichment Program. Student fees-based on family income, grants, fundraising, and donations support Milford Middle School Enrichment and Extended Day Programs. Under the direction of the Community Advisory Board, the Parent Steering Committee, and the Student Steering Committee, it offers varied educational opportunities to MMS students. The goal of this program is to provide interesting and fun after-school options, like sports and crafts, for students. They also offer school vacation and summer options for students. Some of the courses currently offered are recreational swimming, by Hampshire Hills Health Club; Theater Games and Skits, by Liz Possee; Drawing-Painting, by Kara Fortin and Aubrey Antonelli. We really hope to have a great turn-out tommorow! 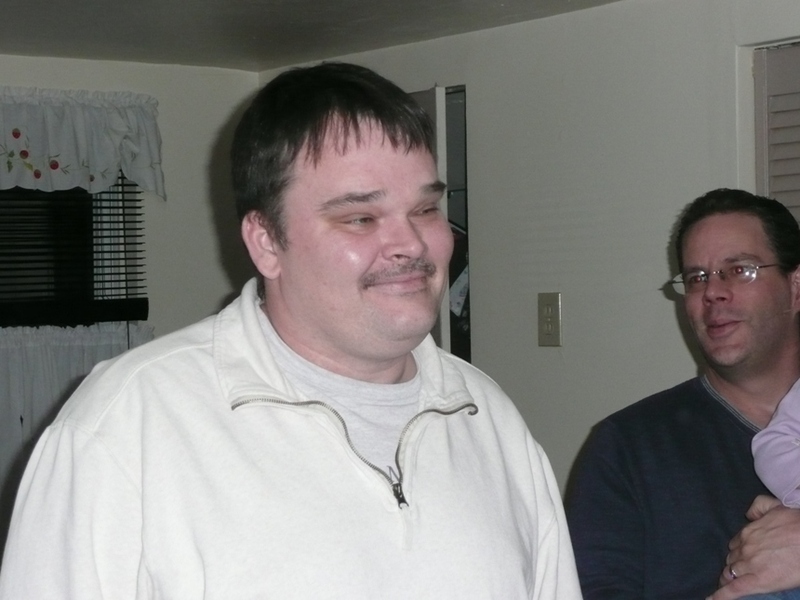 Fun Stuff about K Spirito – Chapter 15 – Subtitle: Another Birthday Party! 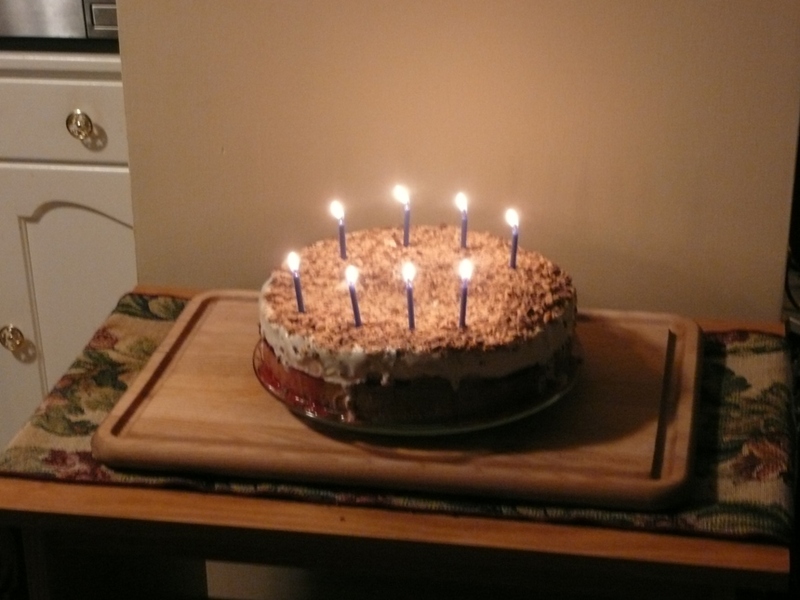 Last night we celebrated the birthday of one of our son-in-laws, Bruce, his birthday is actually December 3rd. We had a great time. See pictures below. Bruce’s Ice Cream Cake; it was yummy! Bruce, as we sing Happy Birthday, with our son Jeremy in the background. We have another son-in-law and a granddaughter celebrating birthdays this month. Also a cousin, an aunt and Debra Lawless!